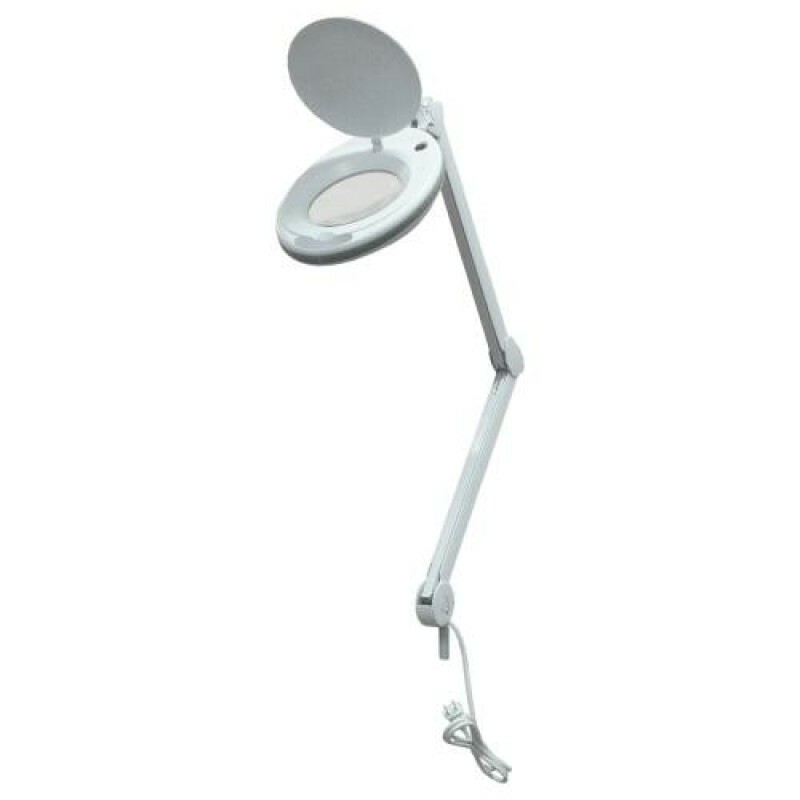 A magnifying lamp that allows to perform a thorough skin analysis. Features a round fluorescent light bulb, 3-diopter lens and a cover. Comes with a table bracket. 3-month warranty.